When Viber first launched its free voice calling app for iPhone back in December 2010, I called it a rival to Skype’s iOS app. Today, we can really start referring to Viber as an overall, head-to-head Skype challenger as it launches desktop applications for both Windows and Mac OS X that feature support for video calls (in beta). To date, Viber has been focused squarely on making its service available on as many mobile platforms as possible, releasing apps for iOS, Android, Windows Phone, BlackBerry, Symbian and even Samsung’s Bada. 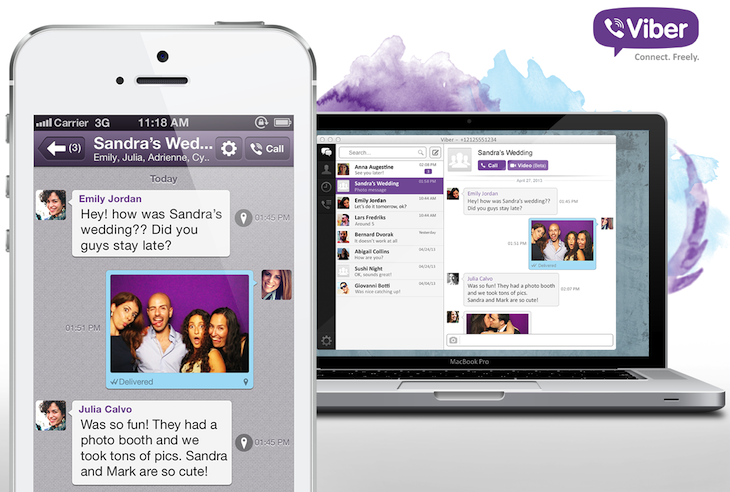 But today marks the release of Viber Desktop for PC and Mac, desktop versions of the service that integrate with the existing, aforementioned mobile versions of the app. It also comes with the same dead-simple setup process that employs a user’s phone number as their ID. Desktop users will be able to transfer calls between Viber Desktop and mobile apps with a single click or tap, sync received and sent messages, and be able to delete conversations on whichever device they choose. 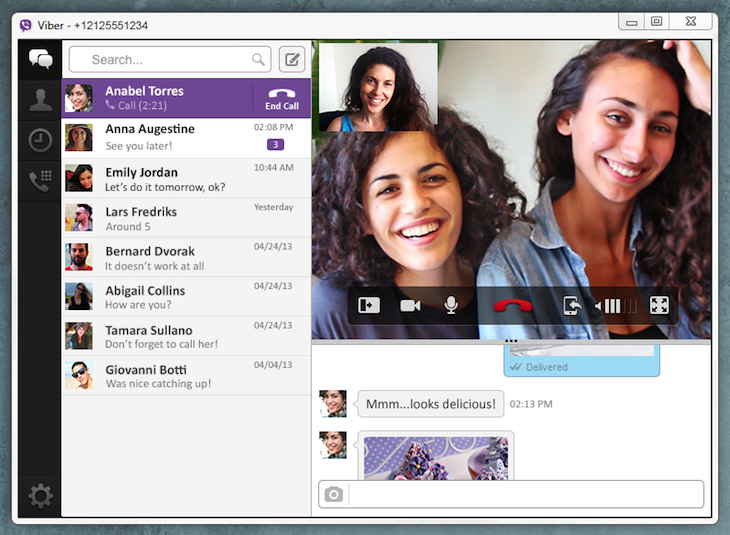 Crucially, Viber Desktop for the first time allows users to make video calls. 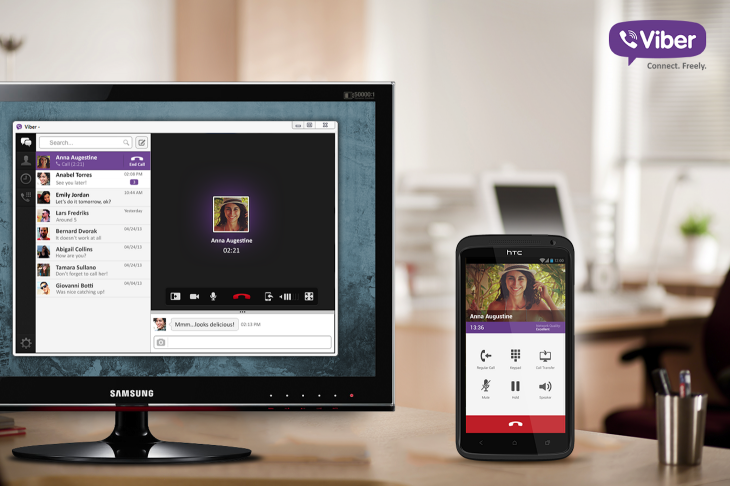 This new (beta) feature lets users make desktop-to-desktop video calls to other Viber users for now, but the company will likely bring the functionality to mobile platforms in the future. “People spend a substantial amount of time on their smartphones.“However, a lot of that usage takes place at home or in the office, where they have laptops or desktops close by. 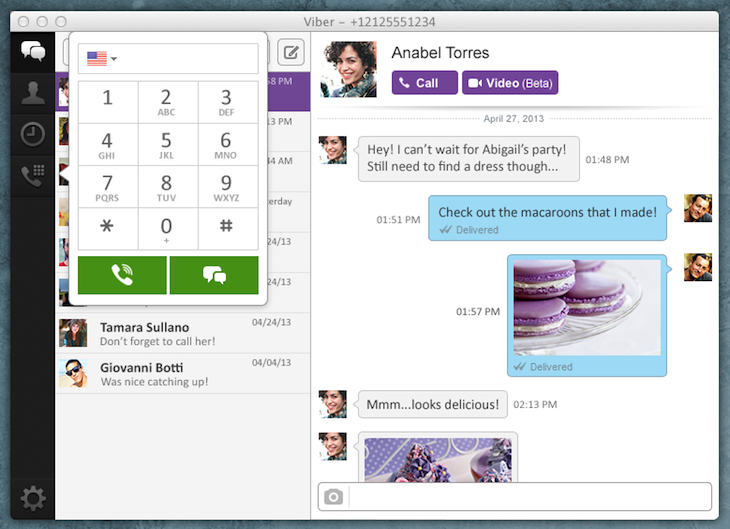 The launch of the desktop apps is not the only product-related announcement Viber is making today, however, as it is also rolling out Viber 3.0, a major update to both the Android and iOS versions of the communications service, and a new app for BlackBerry that ensures voice calling as well as compatibility with Viber Desktop. In addition, Viber’s Android application now features a completely redesigned “Holo” interface and a number of other, Android-specific optimizations. Viber also announced today that it has hit 200 million users from 193 countries across all supported platforms, up from 140 million users at the end of last year and 175 million users at the end of February 2013. On top of all this, Viber has added support for eight new languages, bringing the total of languages supported to 27 languages overall. 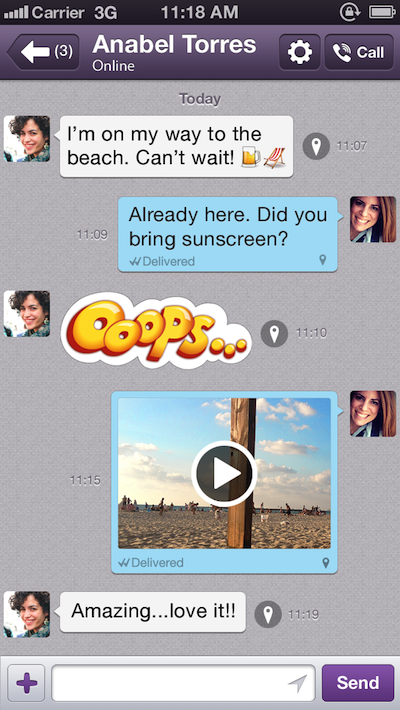 Free mobile messaging apps will be the death of SMS. Eventually.